The UNEP FI Global Steering Committee provides executive direction on strategic, work programme and budgetary issues on a regular basis. The Global Steering Committee reports to UNEP FI’s Annual General Meeting, where all Members come together to make decisions on the Initiative’s overall strategic direction, structural issues and budget decisions. 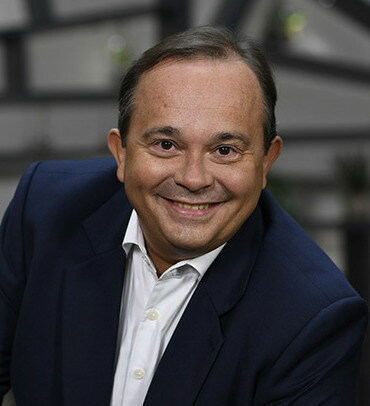 Antoni Ballabriga is Global Head of Responsible Business at BBVA. He reports directly to the Board of Directors. His mission is to ensure that people are systematically placed at the decision-making processes. He assists the CEO in proposing Responsible Banking policy and defines its plans, and is responsible for its implementation & monitoring. He works mainly as second line to challenge and give support to all areas to embed this policy in their operational models. This includes the design of customer solutions to marketing and sales, customer relations & complaints; sustainable finance integrating environmental & social opportunities & risks; reputation monitoring & risk management; integrated report; community investment. He is CEO of Momentum Social Investment and professor at ESADE Business School. Former President of DIRSE, Spanish Association of CSR Professionals and Former President of SpainSIF, Spanish Forum for Socially Responsible Investment. Antoni holds a Degree in Business Sciences and MBA from ESADE Business School. He has studied at Harvard Business School and is First Mover Fellow at The Aspen Institute. 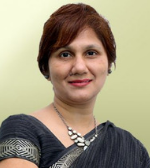 With 28 years of diverse global experience in Banking, Technology & FMCG, with particular focus on Design Thinking, Sustainable Finance, Climate Action, ESG Risk Management, Public Policy & Corporate Citizenship, Namita Vikas has been instrumental in outlining YES BANK’s integrated approach towards climate finance, by integrating ESG parameters in financial decisions, developing innovative products and services along with various business verticals addressing environmental and social concerns fostering financial inclusion, facilitating and mobilizing investments in positive impact sectors and building institutional capacity and culture of ‘Responsible Banking’. In line with its vision to be benchmark financial institution for sustainability and inclusivity in India, Namita spearhead development of focused approach towards climate finance, which has led to multiple industry first achievements. These include issuance of India’s maiden green bonds in 2015, facilitation of nation’s first ever social bond in 2017 and launch of India’s first green retail product ‘Green Future Deposit’ in 2018 with a commitment of mobilizing the fund deposited by customers to positive impact sectors. Namita was ranked one of the “Leading Women in Business Sustainability” by the World Business Council for Sustainable Development (WBCSD) and was globally recognized as the “Sustainability Leader of the Year” by Ethical Corporation, UK in 2017. In 2018, She was named one of “Asia’s Top Sustainability Superwomen” by CSR Works International. 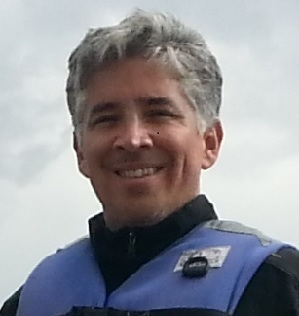 Mauricio has over 8 years of experience as Principal executive of the Environmental and Climate Change Department at CAF (Latin American Development Bank). He has been the head of the Strategic Program of Environmental and Social Management for financial institutions (PGASIF). Moreover, since 2015 Mauricio has been co-chair of the Latin American Task Force UNEP FI, and promoter of the Protocol of Sustainable Finances of the Banking of Ecuador. His career has a remarkable background in terms of sustainability and environment protection. He has participated as member of the main group that elaborated the Management Plan for the Galapagos National Park and he worked at Galapagos National Park as a Coordinator of Investigation and Development Projects. Additionally, he was the Director of the Environmental Area at the Municipality of Guayaquil for over four years and the Sub-secretary of the Natural Capital Department at the Environment Ministry of Ecuador. He strongly believes on the necessity to create resilient and low carbon economies to improve the livelihood of the Latin American citizens. He holds a Master degree in Environmental and Forest Biology at SUNY (State University of New York). More of his biography here. Alice Steenland is currently a Director and member of the Executive Leadership Team of AXA Next, the new Innovation Business Unit of the AXA Group. Alice joined the AXA Group in September 2008 as AXA’s first Chief Corporate Responsibility Officer. Under her tenure, AXA moved into a leadership position in global sustainability rankings (Best Global Green Brand, Dow Jones Sustainability Index, etc. ), landed a position as the #1 insurance stock pick of responsible investors globally, and became the first global insurance company to pioneer both impact investing as well as coal and tobacco divestment, amongst other accomplishments. Alice was formerly the Director of Investor Research at Vigeo, a leading ESG (Environmental, Social, and Governance) ratings agency. Prior to joining Vigeo, Alice worked in the business consulting division of Arthur Andersen, and acted as an independent consultant in the field of strategic planning for Save the Children USA. She has been a member of the Boards of the United Nations Principles for Sustainable Insurance, AXA Matrix, and Admical, and is currently a member of the Advisory Council of IDDRI and of the Yale School of Management’s Council of Global Advisors. She regularly gives talks on sustainability and sustainable finance at conferences and universities. Alice received her Bachelor’s degree in Human Biology from Stanford University and holds an MBA from the Yale School of Management. Musa Salah is the Group Manager and Head of Environmental and Sustainability Unit at the Ecobank Transnational Incorporated (ETI), Lome-Togo with responsibility covering 36 countries in Africa. Prior to this, he was a Regional Account Manager, United Nations, Agribusiness and Climate Initiatives in the International Organisations Department of Ecobank. Before joining Ecobank in 2008, he worked in the United Nations systems in Ethiopia and Nigeria, from 2003-2008. Musa served on the Ghana National Climate Change Committee (2010-2012). He has contributed to a number of Policy reports on the Environment and Sustainable Development nexus, including National Councils for Sustainable Development in Africa: A Review of Institutions and their Functioning, UNECA (2005); and Ghana Policy Advisory Series on Climate Change, Africa Adaptation Programme, EPA-Ghana (2011). He holds MSc degree in Environmental Management, Sustainable Development option, from University of Surrey, UK. He was a Fellow at the UNEP Risoe Centre on Energy, Climate and Sustainable Development, Copenhagen, hosted by the Danish Ministry of Foreign Affairs (2011); and Chairs the Bank of Ghana Sustainable Banking Principle Committee. 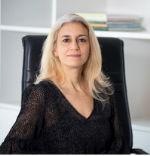 Patricia Coimbra is responsible for the overall Sustainability & HR strategy and operations, for ESG (Environment, Social and Governance) business integration, sustainability reports and R$ 6.5 MM social investment strategy. Responsible for International Finance Corporation reports and United Nations Global Compact voluntary commitment. She also share responsibility with SulAmérica Asset Management for PRI commitment. One recent accomplishment is to be part of Dow Jones Sustainability Indices list for the first time and be part of FTSE4GOOD list again. SulAmérica employee engagement level has been improving in the last 4 years. In 2015, our engagement level was 75 % in Hay Group survey against 57% in 2013. The percentage of women in executives´ position increased by 14% in the last 3 years. Before SulAmérica, Patricia was HR Development Director for Oi telecommunications, supporting 1k executives, 25k employees and 30 k third parties (February 2011 – July 2013), in charge of leadership pipeline development, talent management, performance management, and technical training.Patricia has earned a bachelor’s degree in information technology at PUC-RJ and economics at Universidade Candido Mendes-RJ, post graduation in Marketing at PUC-RJ and international executive trainings in SC Johnson and Shell Headquarters. 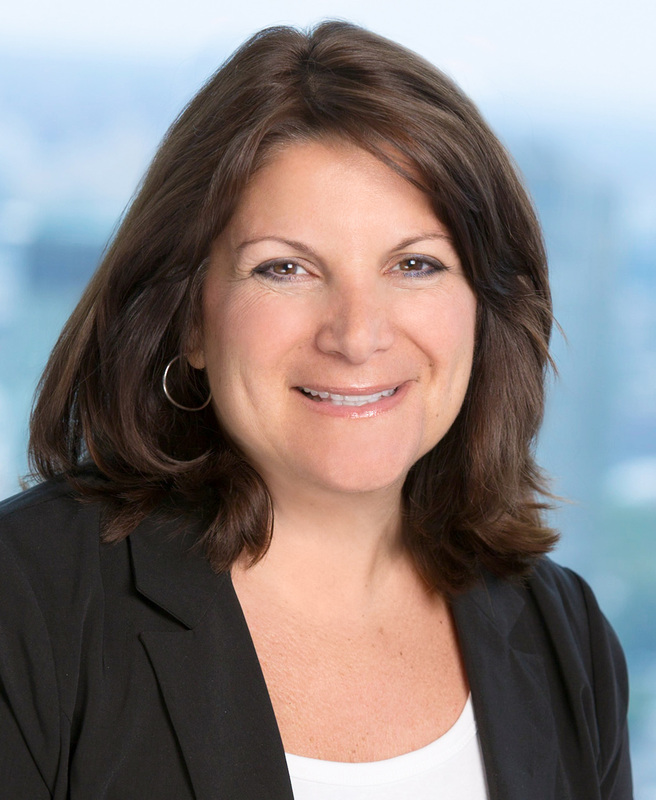 Jacki Johnson is Group Executive, People, Performance & Reputation and reporting to the CEO sits on the Group Leadership Team (GLT), reporting to the Board of Directors. As part of the GLT she is accountable for the collective setting of Group-wide organisational strategy and has accountability for one of the three organisational strategic priorities on organisational Agility. She plays a critical role in the delivery of group-wide priorities and the development of a truly purpose led organisation with a high-performance culture and strong reputation that drives the performance of the organisation. She has ensured the Board and GLT considers the SDGs in strategy setting and led the organisations overall approach to ESG and Sustainability. In 2017 she worked with her colleagues on the GLT to endorse and approve a group-wide Climate Action Plan that is embedded across the organisation. She also led IAG’s first TCFD aligned disclosure and continued acknowledgement on the DJSI World Index. More recently Jacki has taken a lead role in the development of a Resilient and Sustainable Finance Roadmap for Australia and New Zealand and engaged extensively across the finance sector, government and regulatory bodies to galvanise support and commitment to this work, in partnership with UNEP FI and NAB as the Insurance and Banking GSC members for Asia-Pacific. In her current role on the UNEP FI Global Steering Committee, she has actively contributed to the global strategy and taken a Committee level accountability for approach to financial management. She is a member of Chief Executive Women and a member of the Steering Committee for Sydney 100 Resilient Cities. 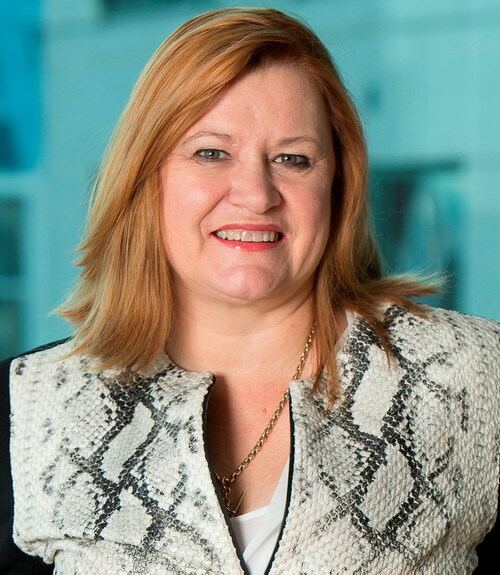 Jacki is Non-Executive Director for Community First Credit Union and a member of the Member of Corporate Governance and Remuneration Committee and an Executive Director of IAG International Holdings and a member of the IAG Ethics Committee. Jacki was recognised by the NZ Herald in December 2015 as NZ Executive of the Year. She is a former Non-Executive Director of the New South Wales WorkCover Authority and the Personal Injury Education Foundation. Prior to this, Frank worked for the “Caisse des depots” group in charge of the real estate sustainable development policy and investment policy in French regions. His role was the integration of ESG criteria in the business of direct investments and also non direct investment through funds. He also represented the group in different stakeholders platform in France and Internationally as EEFIG for example at the European commission level. 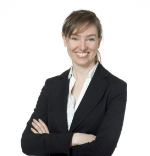 Brandee McHale is Director of Corporate Citizenship at Citi and president of the Citi Foundation. She leads the bank’s efforts to promote sustainable finance and oversees both Citi’s Corporate Sustainability and Environmental and Social Risk Management teams. She is committed to leveraging Citi’s core business activities to help address climate change and its impacts, and to promote sustainable growth and progress. She helped to set Citi’s Sustainable Progress Strategy and guides its global implementation across the company. Under her leadership, Citi continues to further embedding sustainability into its core businesses by expanding its environmental finance activities and developing innovative sustainable financing solutions; establishing enhanced environmental and social risk due diligence for its financing activities; and reducing Citi’s environmental footprint globally. Brandee also oversees the Citi Foundation. 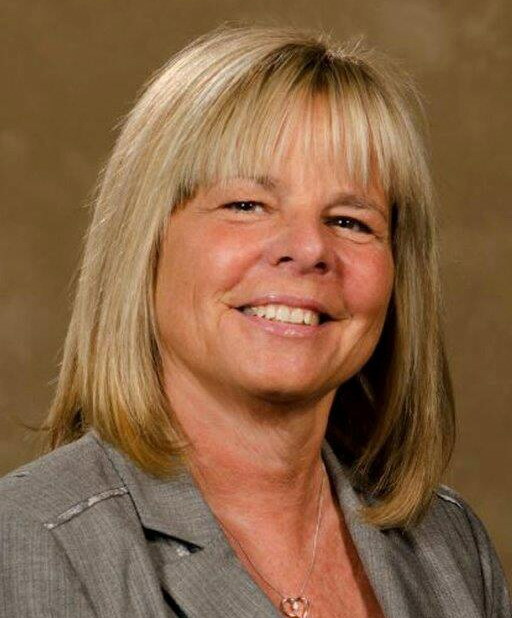 She is an experienced grantmaker who has dedicated over three decades of her career to philanthropy and developing a forward-thinking portfolio of grant initiatives that connect low-income residents to onramps of economic opportunity and a secure financial future. 1. Sustainable Financial Framework. She co-led the recent work in Canada on catalzying our national government to develop a sustainable financial framework for the country. 2. Introduction of a Flood Insurance Product for Canadians. Until April 2015, Canada was the only G7 country without flood coverage for its citizens. The Co-operators developed flood models that allowed us to bring a product to market for all Canadians – even those who are most vulnerable from the peril. 3. Launch of Impact Investments. In early 2016, The Co-operators committed that, by the end of 2018, 6-10% of its institutional investments will be directed to investments that have intentional, measured and publicly-tracked social and environmental impacts. It has exceeded this target and set a new target of 20% of our institutional investments in impact investments by the end of 2022. 4. Transition to a Low-Carbon Economy. The Co-operators Board of Directors passed a motion to support management’s public advocacy of pricing carbon. It continue to be an active public advocate engaging with government, business, suppliers and clients to transition to a low-carbon economy. Dr. MA Jun is the UN Environment’s Special Advisor on Sustainable Finance. He is also Special Advisor to the Governor of the People’s Bank of China, Chairman of Green Finance Committee of China Society for Finance and Banking, and Co-chair of G20 Green Finance Study Group. 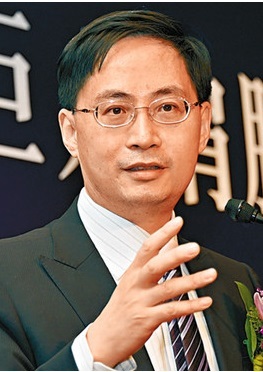 Before joining Tsinghua University, he was the Chief Economist at the Research Bureau of the People’s Bank of China (PBOC) from 2014-17. Prior to that, he worked for 13 years at Deutsche Bank, where he was Managing Director, Chief Economist for Greater China, and Head of China and Hong Kong Strategy. From 1992-2000, he worked as public policy specialist, economist and senior economist at the International Monetary Fund and World Bank. From 1988-1990, he was a research fellow at the Development Research Center of China’s State Council. Dr. Ma received his Ph.D. in Economics from Georgetown University in 1994, and his master’s degree in Management Science from Fudan University in 1988. He was a Plenary Speaker at the 2016 Dubai Global Roundtable and was also a speaker at the 2015 Annual General Meeting. Strategic importance of Hermes and its level of influence – Hermes Investment Management is an institutional asset manager in the UK with $37 billion of assets under management and a global leader in responsible investment. They are one of the first mainstream asset managers to go beyond ESG risk management to also target and measure positive impacts from their investment portfolio. 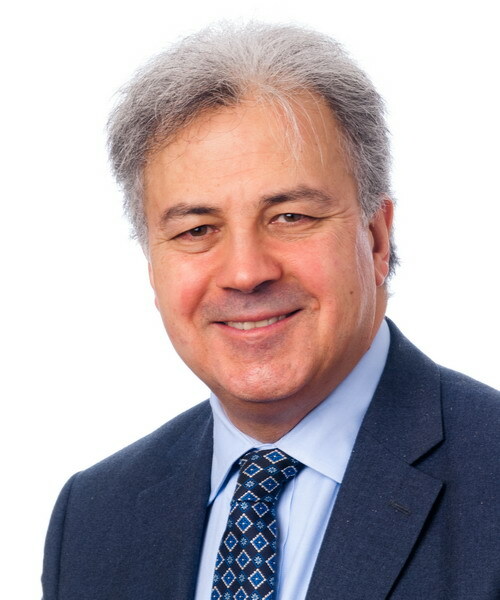 Saker Nusseibeh himself is a renowned responsible investment thought leader in the UK and Europe and has set up The 300 Club which aims to challenge investment orthodoxy and improve the contribution of financial services to society as a whole. Brexit and its potential impact on sustainable finance not only in the UK but also globally has increased the strategic importance of GSC members from the UK. A development economist and lawyer with over 35 years of varied experience, Mr. Tripathi has served with the UN since 1998 in key positions in Europe, Asia and Africa in the areas of Climate Change, Human Rights, Democratic Governance and Legal Affairs. He was Chair of the Committees on Laws, Treaties and Administrative matters for the UN-mediated Cyprus unification talks in 2004; UN Recovery Coordinator for Aceh and Nias where he facilitated international cooperation and funding of over US$ 7 billion for post-tsunami and post-conflict recovery efforts in support of the Indonesian government and affected populations; and Executive Head of UNORCID, a UN System Office of 10 UN Agencies established by the UN Secretary General in 2011 to facilitate the implementation of a US$ 1 Billion REDD+ partnership between Indonesia, Norway and other stakeholders on climate change mitigation and adaptation through the conservation of forests and preservation of peat-land and bio-diversity. 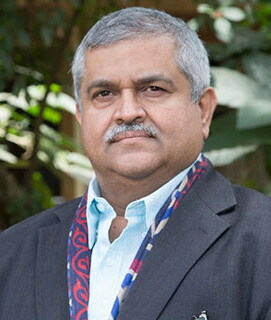 Mr. Tripathi was instrumental in establishing the Tropical Landscapes Finance Facility (TLFF) in Indonesia in 2016 and the Sustainable India Finance Facility (SIFF) in 2017 to leverage ‘private finance for public good’ at mega-scale to achieve transformative social and environmental impact in developing countries. He continues to serve on the boards of these institutions. Mr. Tripathi is a Senior Distinguished Fellow on Natural Resources Governance at the World Agroforestry Centre (ICRAF) and serves on the Advisory Council of the Natural Capital Declaration (NCD). He previously served on the World Economic Forum’s Global Advisory Council on Forests; and in India as a member of its national civil service.